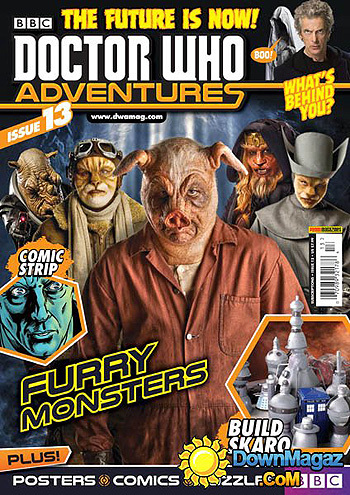 Doctor Who Adventures is the ultimate magazine for kids that are crazy about monsters, aliens and that top Time Lord, the Doctor! Each weekly issue is bursting with beasts, brain-teasers and big Who news. If you can't get enough of the Doctor's adventures, then subscribe to this awesome app to ensure you never miss an issue. Geronimo! Includes puffy stickers and wind up weeping angel!